The need is great for anatomical gifts in the majority of medical programs throughout the United States. The lack of anatomical subjects in many schools forces anatomy departments to request shared bodies from other schools or institutions. In many situations, five or more students have to share one donated body, which limits hands-on education. In addition to basic anatomy as a foundation course, donated bodies are also used for teaching surgery, orthopedics, ophthalmology, cardiology, neurology, and other specialty fields Millions of lives have been saved, and countless individuals enjoy optimum health today because of anatomical study using donated human gifts. No medical schools or state anatomical boards in the United States are permitted by law to purchase bodies from families or estates. Physical condition of the body, and not age, is the important factor in body donation. There is usually no upper age limit in donation of a human body to medical science. Organs and whole body donation are two separate programs, with different needs. A potential donor must make a decision to either donate his or her whole body or individual organ parts at death. With few exceptions, organ and tissue donations at death will prevent whole body donation for medical education. The exception would be the cornea of the eye, which can be donated without affecting whole body donation. One of the most important things to be stressed here is that a potential body donor should not have a false sense of financial security concerning whole body donation. Many donated bodies are rejected at death for various reasons by medical schools. Be prepared with alternate burial or cremation plans for final disposition of the body. With cremation, you actually have more choices for a final resting place than with a typical earth burial. 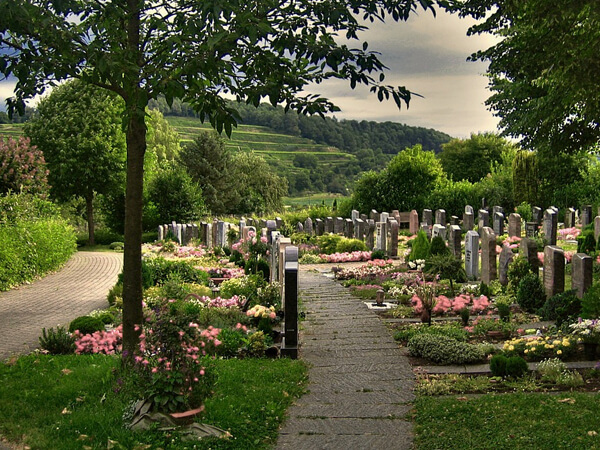 With interment, you can choose burial in the family plot, church garden, or other memorial site. You can also choose a columbarium, which is an arrangement of niches, indoor or outdoor, with memorial identity plaques. This is also sometimes referred to as an urn garden. You can choose to have memorial prayers and religious rites performed at the graveside with cremation, just as you can with a typical earth burial. You can also choose to have a marker or monument as a permanent testimony to the life and the history of the deceased, and as a place of pilgrimage for loved ones to visit. With cremation, you also have other options that aren't available with a typical earth burial. Options with scattering remains include scattering within a memorial garden or cemetery; with the comfort of identifying marker, plaque, or memorial book entry to memorialize the loved one; or over water or in some other site loved by the deceased. You can also do partial scattering, in which some of the cremated remains are scattered and the rest are retained in an urn for interment. Cremated remains can also be placed in two or more urns. This offers the comfort of interment near more than one family member when families are divided by great distances.